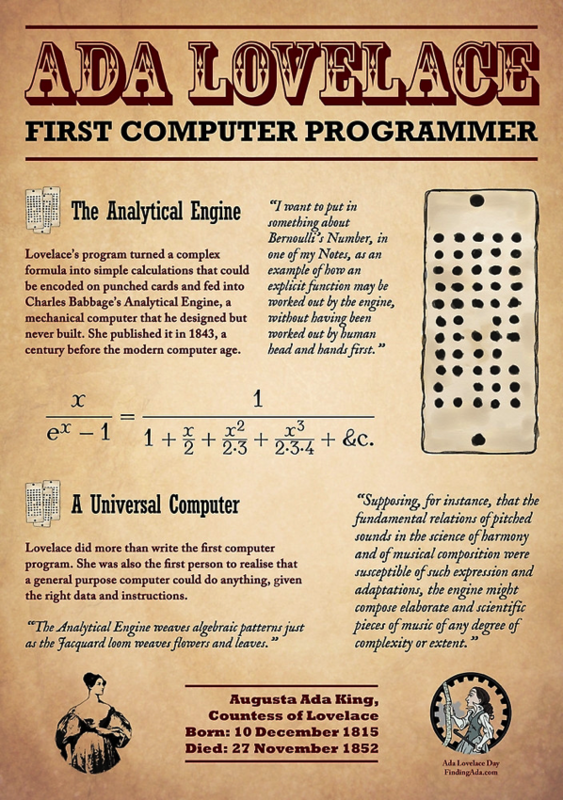 Ada Lovelace poster! @findingada « Adafruit Industries – Makers, hackers, artists, designers and engineers! Help support this year’s Ada Lovelace Day by purchasing one of these cool Ada Lovelace posters! Pick one up here.